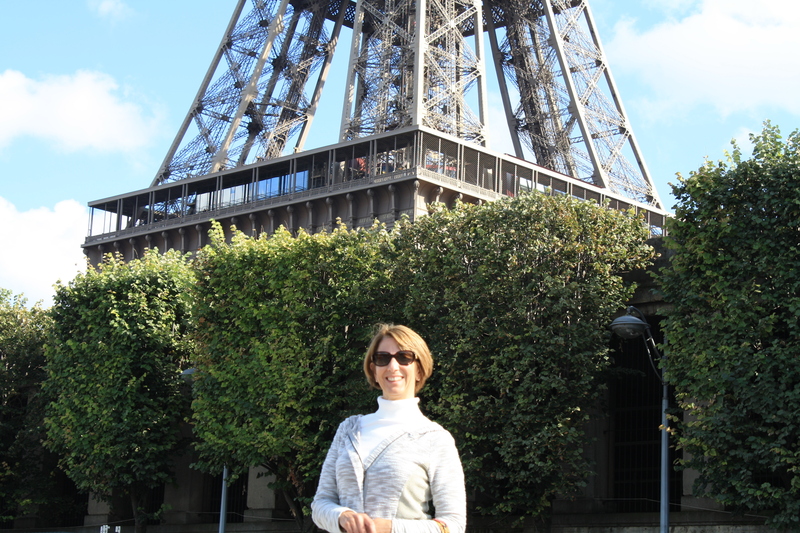 This is me at the Eiffel Tower. For those of you who read the blog, you know it’s been a life-long bucket list item to drink cafe au lait beneath the Eiffel Tower. Wouldn’t you know, there isn’t a cafe beneath the Tower. Just a lot of lines and a whole lot of street vendors. Fear not, though, Captain Pete and I found a great little cafe not far from Notre Dame. Actually, we found two. After having cafe au lait at one, we shopped and then enjoyed some true Parisian hot chocolate at the next. Consider that bucket list item well and officially achieved. The experience came at the end of a wonderful second honeymoon to celebrate our twenty fifth anniversary. The Captain and I also explored parts of the UK. We toured castles in Wales, we debated politics with an antiques dealer in York, and we saw Van Gogh’s Sunflowers in London. I also got to see the fabulous Flo! The good folks at Mills & Boon treated me like a rock star. A very humbling experience indeed. All these great experiences won’t go to waste, I assure you. The heroine in my upcoming August release is about to go on a search for a missing painting in – where else? – Paris and the UK! Believe it or not, we’re also closing in on the end of the year, which means planning for 2015. Something I need to decide is whether or not I want to continue blogging to you all every week. To be honest, I’m not sure I have that much of importance to say. Then again, that might just be my mood today. Post vacation reality is never fun. Oh well, that decision is for another day. In the meantime, I’m off to make myself a cafe au lait and enjoy my version of tea time.